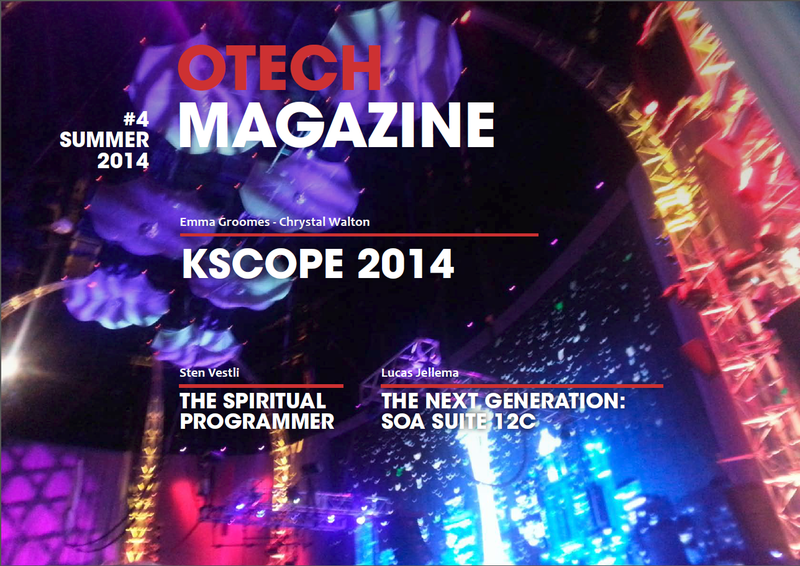 OTech Magazine Winter 2014 Issue Released! 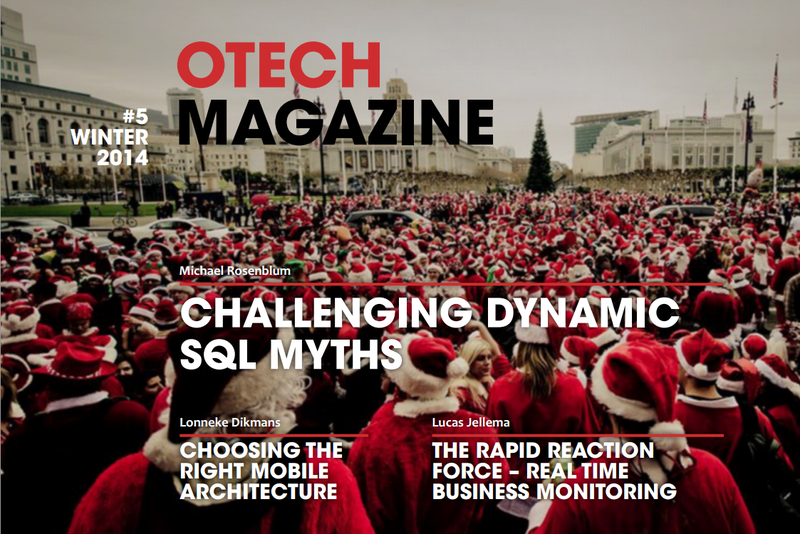 OTech Magazine Winter 2014 Issue is a more than one hundred page independent Oracle technology magazine especially designed for the holidays. First part of my Oracle Database In-Memory article series also published in this issue. My special thanks to Oracle ACED Douwe Pieter van den Bos for all efforts. 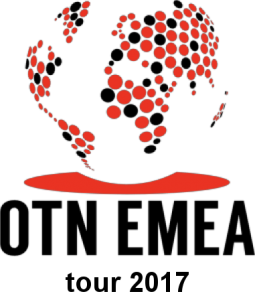 OTN - Oracle Technology Network Latina America published our next technical articles series. This article series cover Redo Gap Resolutions in Oracle Data Guard 12c entitled in Portuguese language as Oracle Database 12c – Resolução de Redo Gap (Part I, II) written by Joel Perez (Oracle ACED), Mahir M. Quluzade (OCE). This article series consists of two parts. You can read articles from following links in Portuguese Language. You can see very useful examples for every new feature in this article series. So, Part I of this article series, covers "Invisible Columns", "Identity Columns", "Default Values Using Sequences", Part IIcovers "Extended Data Types","Multiple Index on same Columns", "Online DDLs", "Limitations of Row Set". Part IIIcovers "Online Moving Partitions", " New types of compression for tables", "Granted Roles of a Program Units","Enhanced in Clause 'WITH'". 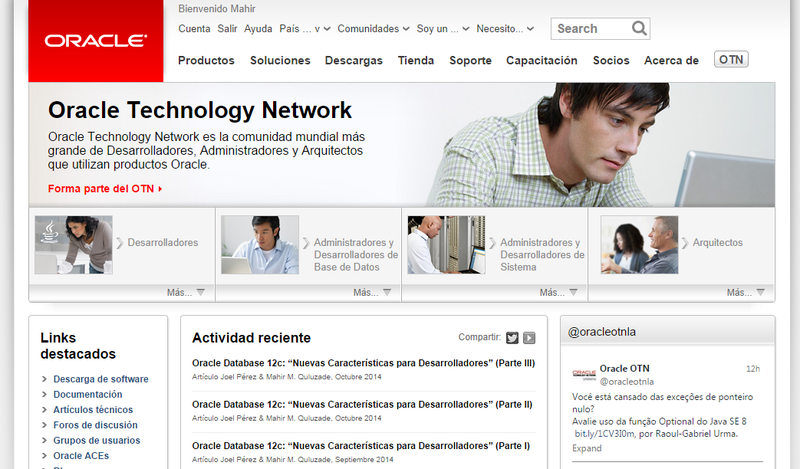 OTN - Oracle Technology Network Latina America continue publish our articles. Our 7th technical article published on OTN in Portuguese Language at 20th August. 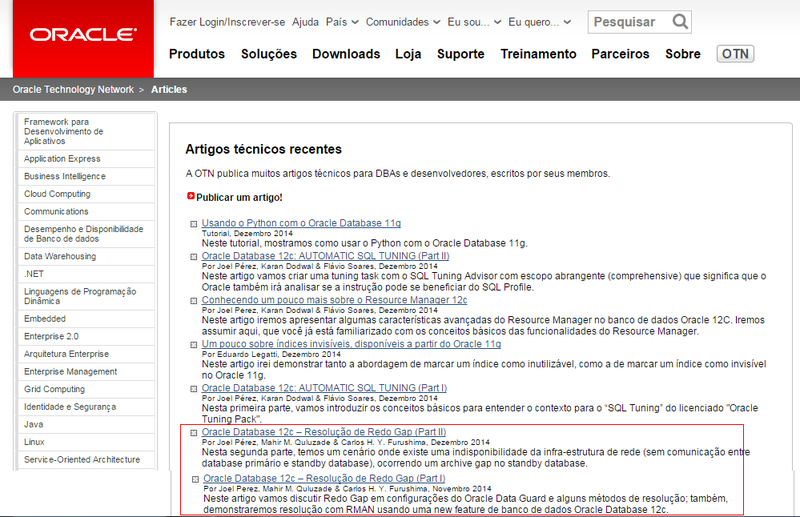 This article entitled : Oracle Database 12c, O que acontece em um CDB quando um PDB tem ser recuperado written by Joel Perez (Oracle ACED), Mahir M. Quluzade (OCE) and Rodrigo Mufalini (Oracle ACE) . Thanks to my friends, Joel and Rodrigo, for their all efforts and thanks to OTN. As you know, Oracle Database 12c Release 1 (12.1.0.2.0) already released at July 22, 2014. With new release coming new PDB Clauses. PDB Inclusion in Standby CDBs feature is coming with Oracle Database 12c Release 1 (12.1.0.2). ALL includes the new PDB in all of the standby CDBs.NONE excludes the new PDB from all of the standby CDBs. The CONTAINERS clause in PDB enables you to query user-created tables and views across all PDBs in a CDB.The tables and views, or synonyms of them, specified in the CONTAINERS clause must exist in the root and in all PDBs and must be owned by the common user. A query that includes the CONTAINERS clause must be run in the root. 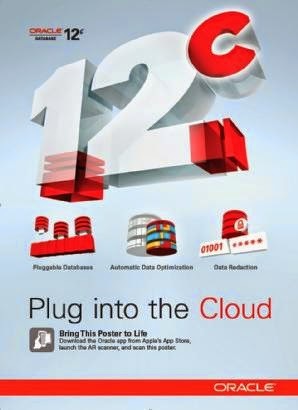 As you know, Oracle Database 12c Release 1 (12.1.0.2.0) already released at July 22, 2014. You can download new release from here. With this new release coming some new features. This article series covers PDB Clone new features of Oracle Multitenant option of Oracle Database 12c Release 1 (12.1.0.2.0). Sometimes we using many schemas that each supported a different application in a database (Schema Consolidation). With Oracle Database 12c coming new option Oracle Multitenant, which is helpful for simplify consolidate databases.Database Consolidation means, each pluggable database (PDB) support a different application and all pluggable databases adopted in same Multitenant Container Database (CDB). Part II. Non-CDB Adopt to CDB as a PDB. The new release of Oracle Multitenant fully supports remote full and snapshot clones over a database link. A non-multitenant container database (CDB) can be adopted as a pluggable database (PDB) simply by cloning it over a database link. 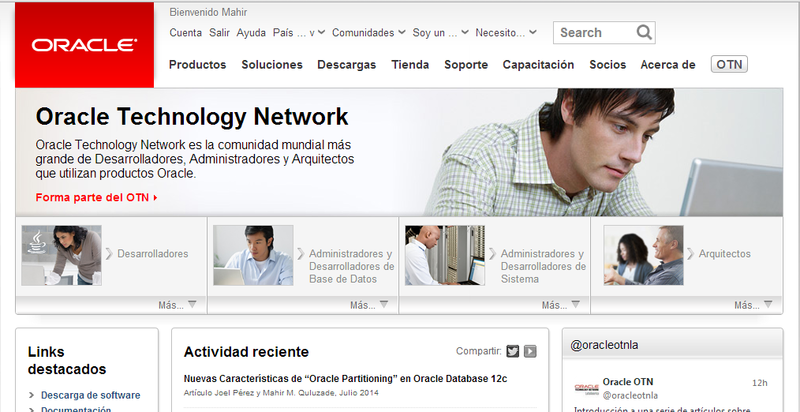 OTN Article : Oracle Database 12c – Nuevas Características de "Oracle Partitioning"
Oracle Technology Network - OTN (Latina America) published our 6th article in Spanish Language. I presented entitled "Oracle Multitenant" at an event organized byOrient ITM. (Baku, Azerbaijan). A new option for Oracle Database 12c, Oracle Multitenant delivers a new architecture that allows a multitenant container database to hold many pluggable databases. An existing database can simply be adopted with no application changes required. Oracle Multitenant fully complements other options, including Oracle Real Application Clusters and Oracle Active Data Guard. The many pluggable databases in a single multitenant container database share its memory and background processes. This enables consolidation of many more pluggable databases compared to the old architecture, offering similar benefits to schema-based consolidation but with none of the major application changes required by that approach. 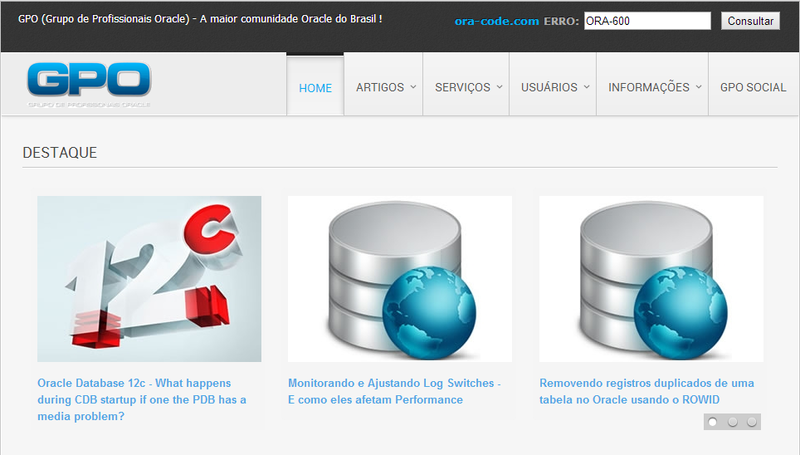 GPO (Group Oracle Professionals) - The greater Oracle community in Brazil. GPO portal is a comprehensive portal implemented with various technologies and various topics on Oracle Technologies. My article published on GPO (Group Oracle Professionals) portal. 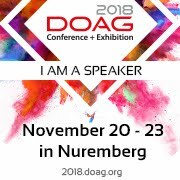 Special thank to Victor Armbrust (Founder-Director of the GPO Portal, Oracle ACE), Sergio Willians (Coordinator GPO Portal, Oracle ACE), Alex Zaballa (Autor of GPO, Oracle AСE). Note:To install the PSU 12.1.0.1.2 patch, the Oracle home must have the 12.1.0.1.0 Database installed. Subsequent PSU patches can be installed on Oracle Database 12.1.0.1.0 or any PSU with a lower 5th numeral version than the one being installed. I saw my name in Oracle ACE Newsletter January 2014. It is first time, is my name in Oracle ACE Newsletter. I'm very glad. 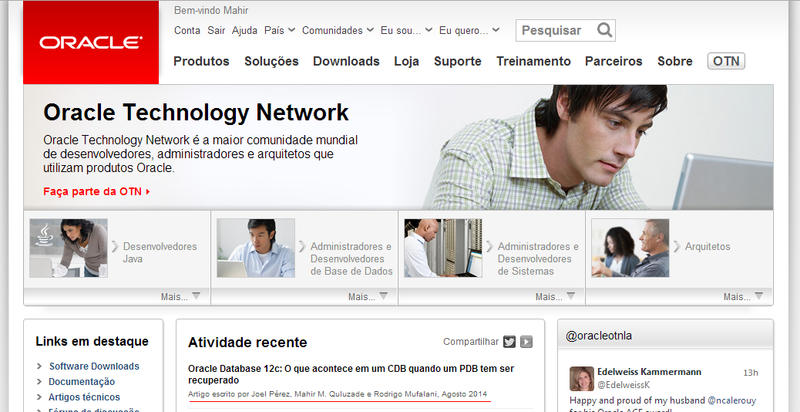 Thanks to Oracle Technology Network (OTN). 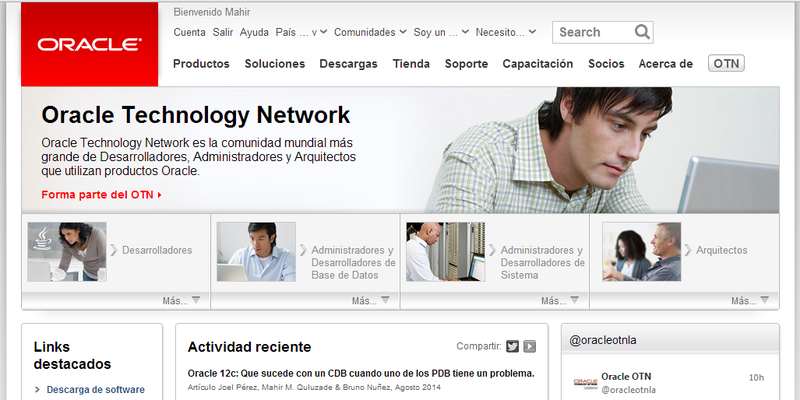 Oracle Technology Network - OTN (Latina America) published our 5th article in Spanish Language.